Do Quiet Hours Do More Harm Than Good If We Are Striving For Equality? Home Do Quiet Hours Do More Harm Than Good If We Are Striving For Equality? Does having an “Autism quiet hour” do more harm than good in our quest for equality and acceptance? Are the groups pushing for awareness and acceptance actually indirectly promoting segrigation of community and reinforcing ideologies that disabled people should be segregated, shunned from society? I am often tagged in events designed for special needs kids and on the whole I appreciate it. I love that my friends take the time to look out for us as a family. They know how hard it is at times to get out and about. It can be challenging, overwhelming and exhausting. But there is a different kind of post circulating recently in the name of awareness. Big supermarkets and businesses are offering “Autism Friendly” hours and I don’t like it. It doesn’t feel right and has got me worried. At a quick glance, on the surface, it sounds like a business is being inclusive and doing their part to help, but in reality it is often done as a token gesture or for some good PR. A box ticking exercise with no real thought behind it. No cost to them and in fact probably quite profitable for them, because they are piggybacking off inclusion campaigns. 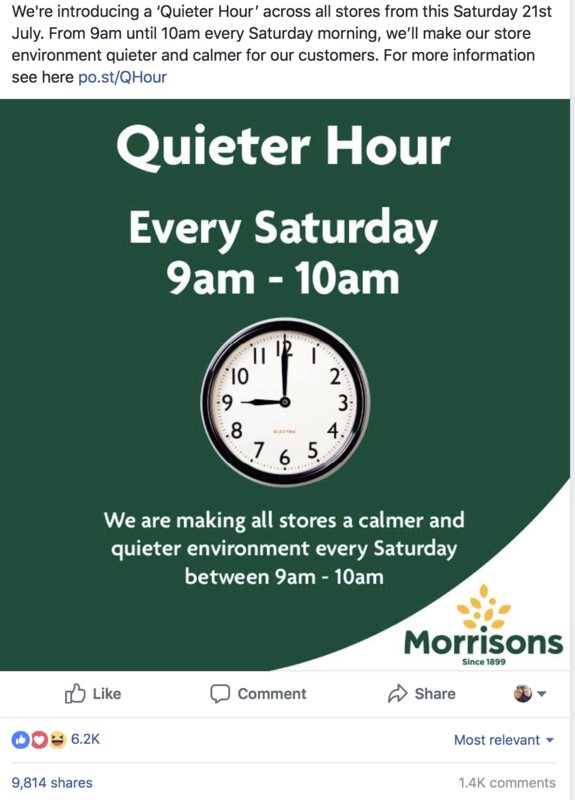 Recently, I saw a post doing the rounds on Facebook, Morrisons are introducing a quiet hour between 9am and 10am. The post has now been shared over 9000 times, with well-wishers tagging their friends and family. Other posts on the page were lucky to get a few shares. Let’s be honest here, THIS IS CHEAP MARKETING & PR for Morrisons. Morrisons are inviting customers to some of their quietest shopping times under the banner of a “Quiet Hour” targeted at the disabled/ autistic community. If this was for ANY other minority group there would be an outrage. Yet, disabled people are some of the most underrepresented people in the country and it’s apparently acceptable to target them? I don’t buy the “we can’t make meet everyones needs all of the time” YES….YES you can! You just have to problem solve it a bit better and take the time to consider a wider spectrum of needs. The trick is not to design for disability as an afterthought, but to design for disability as the forethought. On the one hand, I want to applaud Morrisions for taking the first step in recognising that they could be more inclusive, and that they could make a better more enjoyable shopping experience for all their customers. They have recognised that shoppers want less noise, bring lights, better access etc so why restrict these practices to just 1 hour? Why not completely over hall the whole shopping experience to make it more inclusive and better for everyone, all of the time? The trick is not to design for disability as an afterthought, but to design for disability as the forethought. 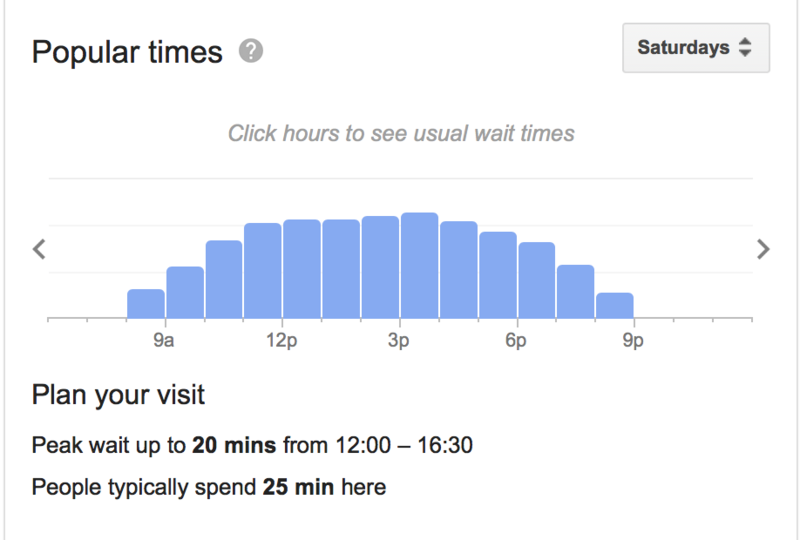 If inclusion was at the fore front of this, apparently well-meaning, campaign then would it not be more useful to promote the use of google which monitors quiet and peak times (see below) so that people can gauge for themselves if it’s the right time for them to be shopping? Why not extend good inclusive protocol and design practice to all the time? Because when you get it right for those of us with more profound needs than you, you will be creating a better environment overall for everyone! A ” quiet hour” at a specific time is not progress. It’s segrigation of community. Just look at the comments on the thread linked above to see how far we still need to go…. 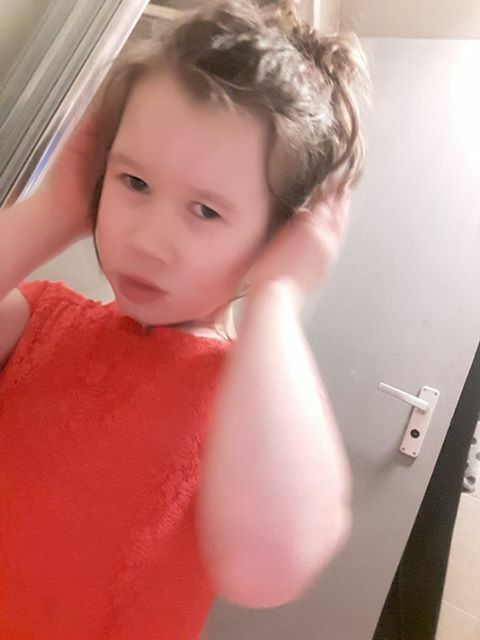 Quiet hour does not raise awareness, instead it creates difference and reinfoces ideologies that disabled people should only shop at certain times. If my kid had a melt down at 5pm at the shops because I needed bread and milk, would society see me as the problem for shopping outside of our allocated time slot? It’s a slippery slope. Not wanting to talk history but it’s a clear example of segregation at it’s most extreme. Hitler made Jews wear a yellow star and they had a curfew, they were only “ allowed” out at certain times. It reinforced stigma, and acceptance that these people were of less value to society and that their needs and rights didn’t matter as much! This was worked on bit by bit, until it became “normal”. It didn’t happen over night. I think they need focus on tackling the proper issues here. Better design, more awareness, better protocol and training. We don’t want a token hour, we want acceptance, better design and inclusion! We need changing places, more thoughtful layout, good text, less noise and bright lights. We need staff to be trained to recognise people who may need some help and understand how to support them. Get this right and you will create an environment where people want to shop. Get this right and you will retain your customers who feel comfortable when they shop with your business. Try to get it right for every citizen and the rest will fall into place!